The Sports Coat: How, Why, Where & When? There are a few items out there in the world which can truly transform any outfit into a winner in one swift action, one of which has to be the Sports Coat. Thrown over a casual t-shirt you will immediately be granted access to bars which you were previously denied. Now that is power. Once restricted to sportsmen engaging in hunting trips, shooting parties and general country life, the look emerged as everyday casual wear during the 1920’s, especially among young men. During this period, men were looking for clothing which offered a mix of both comfort and high fashion which in turn lead them to the ever-evolving sport jacket as a fashion-forward answer to their social function needs. Most Importantly, the Sports Coat should enhance your silhouette. As a well fitted sports jacket broadens & heightens a man’s shoulders, it can slim the appearance of any midsection creating a more natural masculine appearance overall. This alone should earn its place in any mans wardrobe. It’s functional – a sports jacket will keep the wearer warm and generally will have plenty of pockets for holding various items that would otherwise have been delegated to the back pocket of your jeans/trousers/pants. It allows you to showcase your individuality – Rather than showing up to your next casual business event to find every male in the room (yourself included) is dressed in the off-duty wall street uniform of khakis, business shirt and tie, be the guy who looses the tie and throws on a sports jacket for an effortlessly casual and yet still professional look. What Defines a Sports Coat? Sports Coat’s can range in fabric and weave, however a classic old school style will usually be made from wool’s and cottons of various weights. Typically designers will stick to cotton fabric in the summer and wool’s in the cooler months. Blended fabrics are growing in popularity, however we personally prefer a wool blend, just for pure durability’s sake. 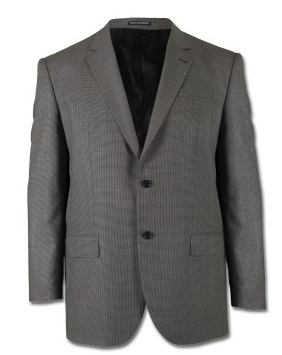 Some of the most common weaves utilized in sports jackets are tweed, flannel and corduroy. 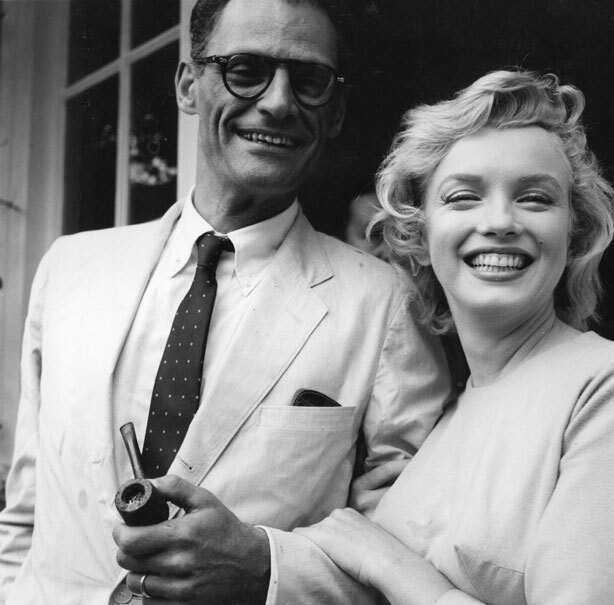 We tend to take our style cues on this one from the great Arthur Miller. I mean….look who he was married to? !” But generally speaking, a sports jacket is most appropriately paired with a dress shirt. When wearing them together, consider the same rules which apply when wearing a suit, ensure ¼ to ½ inch of cuff shows and about ½ inch of the top of the collar above the jacket’s collar, just for propriety’s sake. Casual shirts are especially at home here, think check patterns and light stripe polo’s. Personally, we are not huge fans of the jacket over the t-shirt look, but hey, if you have the confidence to pull this look off, more power to you! This classic trim, pure wool sports jacket by Cambridge is a crucial addition to any contemporary wardrobe. From the exclusive Ron Bennett signature collection, this black wool version is cut from a luxurious cloth and specially crafted to ensure the finest quality. Cut in a modern classic fit, this timeless piece sets a new standard in sharp, sophisticated style. Wear it with matching trousers to create a refined, tailored look that will ignite your appearance and provide you with a superior fashion edge this season.